These were both so very good, I honestly don’t know which one I liked better. 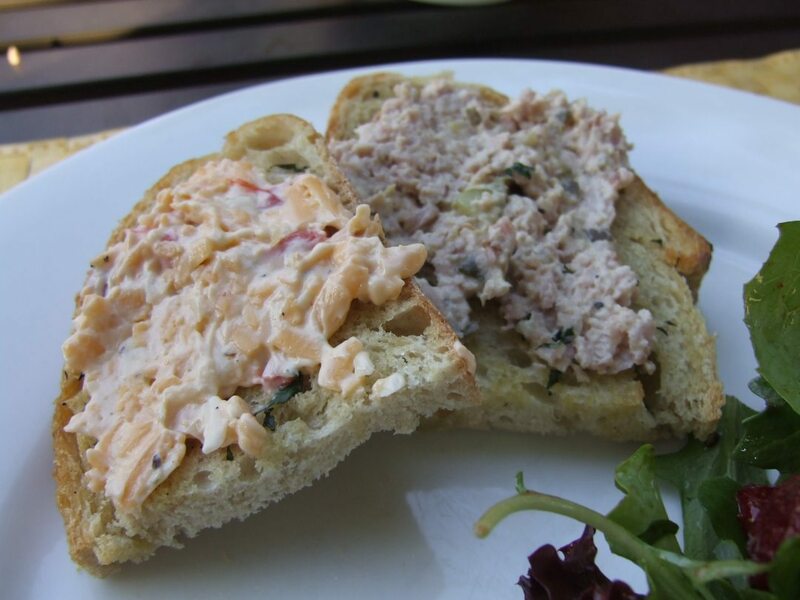 Miss Sara says that pimento cheese is a “Southern classic” and that Southerners are “passionate” about it. You should believe her because I’m beginning to understand that these people are rarely wrong about food. Because I’m an outside-the-box thinker I served these as kind of a main course, or if I may show off my 1.5 semesters of art history graduate school, one part of a triptych of light summer dinner foods. 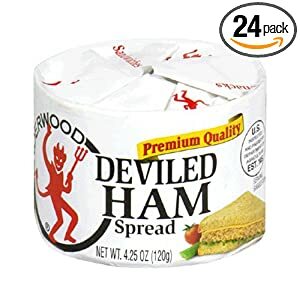 Obviously, people (and Princes of Darkness) like ham spread on a sandwich and they both make wonderful appetizers. You also might enjoy just eating them by the tiny spoonfuls when no one is looking. 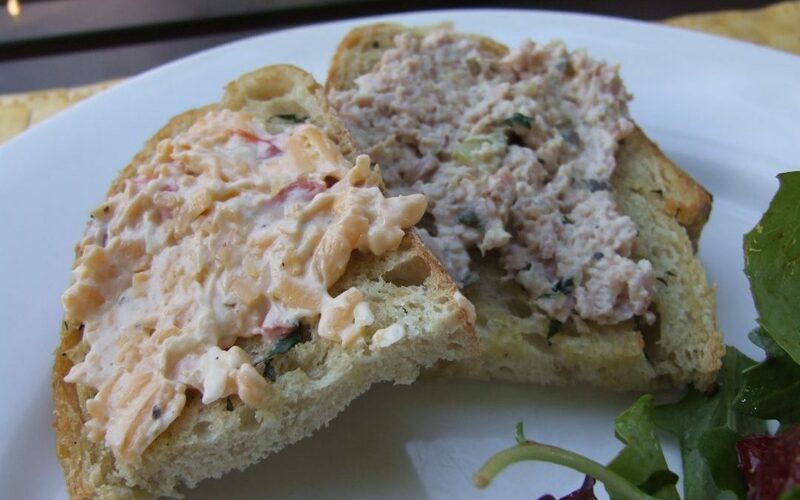 You can find the Deviled Ham Salad recipe here, or on page 11 of Sara Foster’s Southern Kitchen. And the Pimento Cheese is here as well as page 18 of the book. I loved deviled ham and Vienna sausages until Dad read the list of ingredients one day – “hmm, lips, udders, scraps – sounds good to me.” Haven’t touched the stuff since! Try the Pimento Cheese on a hamburger–melted and gooey it makes a great cheese burger.